WASHINGTON, DC, November 18, 2014 (ENS) – A measure to force approval of the Keystone tar sands pipeline was defeated in the U.S. Senate today by a vote of 59-41. Sixty votes were needed for passage of the bill. All the Republican Senators and 11 Democrats voted for the bill. A similar measure sailed through the Republican-controlled House of Representatives last week. When the new Congress convenes in January, with Republicans in control of both houses, the issue is certain to again be put up for a vote. The bill, S. 2280, was an attempt to get around President Barack Obama’s sole authority to issue a Presidential Permit for the TransCanada pipeline to transport heavy crude oil from the Alberta tar sands across the Canada-U.S. border. President Obama has said many times, most recently during a news conference at the G20 meeting in Australian on the weekend, that the State Department is still reviewing the matter, and that he will make no decision until the ongoing court proceeding in Nebraska over the route of the pipeline across that state is decided. “With respect to Keystone, I’ve said consistently, and I think I repeated in Burma, but I guess I’ve got to answer it once more, we’re going to let the process play itself out. 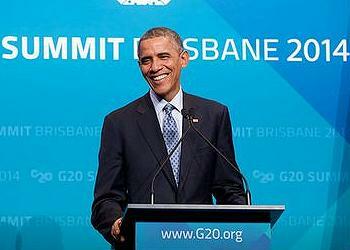 And the determination will be made in the first instance by the Secretary of State,” said Obama on Sunday in Brisbane. “But I won’t hide my opinion about this, which is that one major determinant of whether we should approve a pipeline shipping Canadian oil to world markets, not to the United States, is does it contribute to the greenhouse gases that are causing climate change,” he said. But Senator Mary Landrieu, a Louisiana Democrat who is facing an election run-off December 6, pushed for the Senate vote in hopes that it would improve her chances. Landrieu is a longtime advocate for green-lighting the pipeline. TransCanada’s proposed Keystone XL Pipeline would run from Hardisty, Alberta to Steele City, Nebraska, where it would connect with newly built TransCanada pipelines to Gulf Coast refineries. It would run through Baker, Montana, where American-produced light crude oil from the Williston Basin’s Bakken formations of Montana and North Dakota would be added to the Keystone’s current throughput of synthetic crude oil and diluted bitumen from the oil sands of Canada. TransCanada’s head Russ Girling said, “Keystone XL will carry oil from both Canada and the U.S. – a receipt point at Baker, Montana is an important part of the project that will allow Bakken oil to be delivered to U.S. refineries. In fact, American-produced oil is already making its way to Gulf Coast refineries through the southern leg of Keystone. Environmental and landowner groups breathed a sigh of relief as the Senate bill was rejected. “Today’s defeat of Keystone XL should send a strong signal to the incoming GOP-led Congress that farmers and ranchers will never back down to their oil soaked intentions. 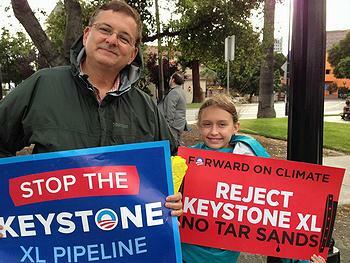 We call on President Obama to stand up and reject Keystone XL now,” said Jane Kleeb of Bold Nebraska.